Almost exactly one month after taking the unprecedented step of suspending withdrawals from the Dallas Police and Fire Pension (DPFP), the Dallas city council is looking to "clawback" what it views as ill-gotten interest payments made to pensioners to the tune of roughly $1 billion. Of course, we have followed the epic meltdown of the DPFP closely over the past several months after a series of shady real estate deals brought the fund to, in the words of Dallas Mayor Mike Rawlings, "the verge of collapse" and resulted in an FBI raid of one of the funds largest real estate investors (see "Dallas Cops' Pension Fund Nears Insolvency In Wake Of Shady Real Estate Deals, FBI Raid"). The discovery of the failed real estate deals led to a "run on the bank" as scared pensioners looked to withdraw as much as possible before the whole ponzi scheme collapsed (see "After A "Run On The Pension Fund" Dallas Mayor Demands Halt Of Withdrawals"). All of which culminated with the unprecedented decision last month to suspend withdrawals (see "In Unprecedented Move, Dallas Pension System Suspends Withdrawals") after nearly $500mm was removed from police accounts. 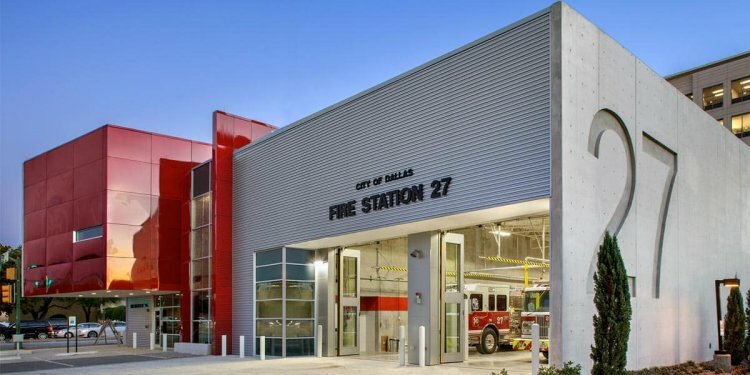 Now, according to a local ABC affiliate, the Dallas city council is frantically working with the DPFP board to close a $4 billion funding gap. While the city has agreed to throw an incremental $1 billion of taxpayer money at the problem over the next 30 years, that additional funding comes with some strings attached, which includes a $1 billion "clawback" of what the city views as ill-gotten gains from Police DROP accounts. The proposed "clawbacks" would come in the form of reduced future distributions for pensioners. For those who haven't followed this story as closely, DROP, which was created in the early 90's, allowed police and firefighters in Dallas to retire while still on the job. Their monthly pension checks were then diverted into DROP accounts, which were guaranteed an 8-10% return regardless of how the overall fund performed. Unfortunately for DPFP pensioners, the Dallas City Council now views those guaranteed returns as an effort to defraud Dallas taxpayers of billions...we would tend to agree. The city has agreed to put in an additional billion dollars over 30 years, but they're proposing a series of bitter pills to make up the rest of the nearly $4 billion shortfall. The bitterest pill: A proposal to take back all of the interest police and firefighters earned on Deferred Option Retirement accounts, or DROP. That would amount to an additional billion dollars saved.